Let’s dive into the Final Fantasy Series, the game franchise that just won’t give up. This will not be a full in-depth review of each game but a brief experience with each I’ve personally had and some interesting facts that I’ve noticed along the way. Final Fantasy was the first game into the Final Fantasy Series, Former Developer Squaresoft (Now known as Square-Enix) had made some games before mostly in Japan but was running bankrupt. Originally the name was Fighting Fantasy they ran into legal issues and was unable to use the name. The world final came from the main head honcho Hironobu Sakaguchi giving it his final shot to make an RPG. The best thing about the original Final Fantasy and which was introduced to other installments of the Final Fantasy Series was the job system. Not only could you customize your full 4 player party you choose each class and name them! You travel with your party to collect 4 crystals and basically take on the evil that is in the world. Crystals and the Final Fantasy Series continue throughout the majority of the storylines but this one started it all. All the sounds are fantastic and I still remember the song as you are crossing the bridge, is it still played in some of the later Final Fantasies. I’m pretty sure the Prelude has still stayed the same with some changes. It is quite amazing how some video games have a great soundtrack even in the 8-bit era. Limited technology and I still remember the fantastic music. Squaresoft quickly through there hat into the ring after the success Dragon Quest had. 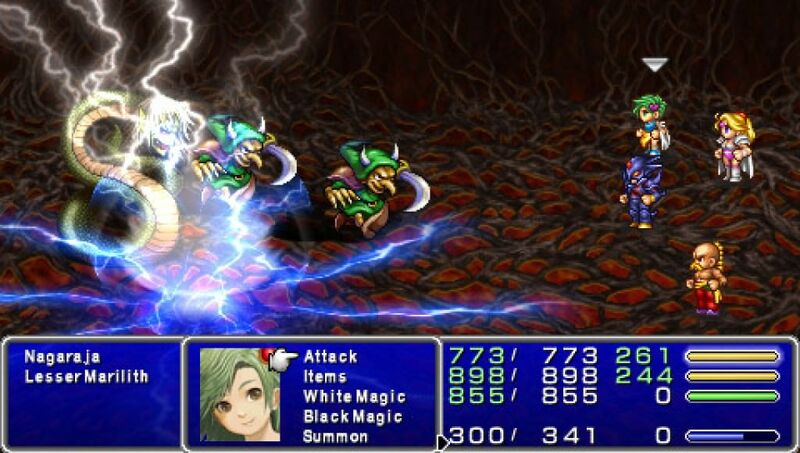 Final Fantasy popularized the JRPG genre and sold copies and is wildly recognized even today in 2018. Selling 1.99 million copies worldwide in the year 2003. I have the physical cart do you still have yours? 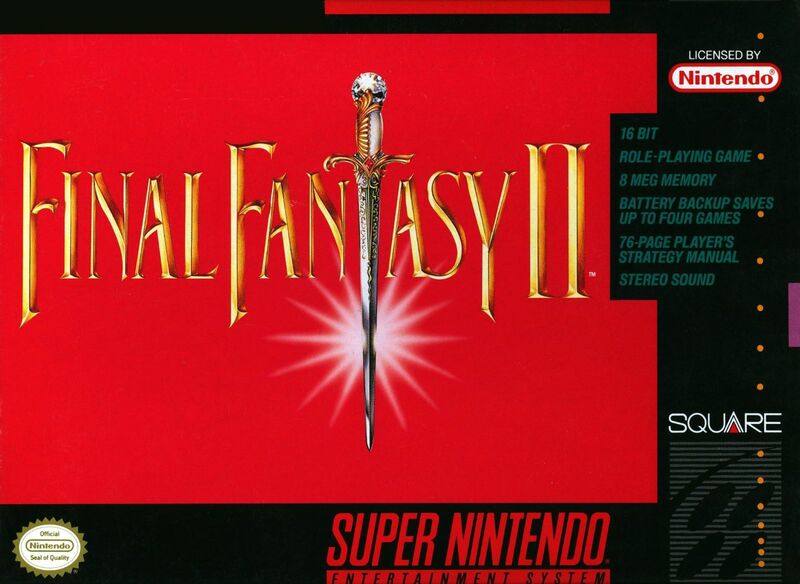 If you grew up in North America your whole life like I have the only Final Fantasy II you ever heard of was the one that was released on the Super Nintendo Entertainment System. That was until the internet started to shake things up and you started discovering games that never made it to the great United States of America. Eventually, they did correct everyone and released the true Final Fantasy Series in one way or another. Some were completely remade for newer systems even. My experience with the true Final Fantasy II didn’t happen until it arrived on my Gameboy advanced which came alongside Final Fantasy and Final Fantasy II which was known as Final Fantasy Dawn of Souls. 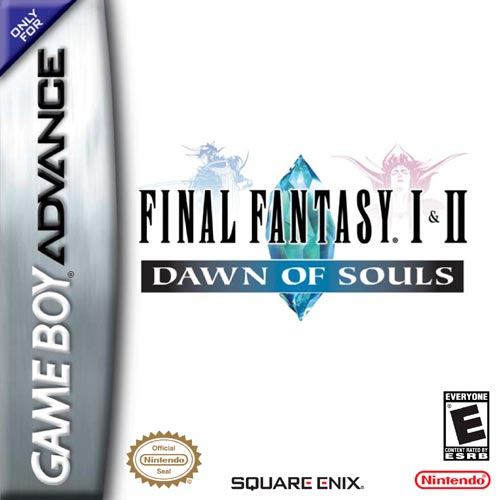 Dawn of Souls brought the original Final Fantasy and Final Fantasy II to many new fans. These were the Wonder Swan ports directly made for the GameBoy Advanced. After playing through Final Fantasy I again I quickly jumped into II. I had tried out Fan translations on emulators before but this game was remade from the ground up. The graphics where great the sound was great. I kept questioning why this game hadn’t been released for us way before this. It finally hit me this game was pretty difficult. If you had played certain MMORPGs (Runescape for Example) before you had to literally train each skill to develop it to the next level. Want to make your character a magic user? You had to use it non-stop. Want to develop your HP (Health Points) You had to take damage. Talk about a grind. This works for MMORPGs but for a Single Player RPG, I was completely turned off after an almost 10 hours of gameplay. No more classes which the original Final Fantasy had begun with. This is where I believe that the Final Fantasy Series really dove in with character development. So that in itself is a huge point in the franchise. The grind was really what killed it for me, it wasn’t that it was DIFFICULT it was that it was an absurd amount of unnecessary grinding. I don’t think anyone wants to sit there and take damage just to level up health. Had I played this whenever it was released and it was the only game available? Sure that would’ve probably been amazing, at the sheer amount of game time you could put into a single game. The only problem was.. it wasn’t released for the USA at the right time and it wasn’t as enjoyable as a remake. Squaresoft continued to not bring their masterpieces over to the good ole United States forcing everyone to still stay confused. Don’t confuse the Famicom(Japenese NES) Final Fantasy III for one of the greatest games of all time Final Fantasy VI (III on SNES). Listen I know its still confusing really. This is the true Final Fantasy III. I first played the “True” Final Fantasy III on NES with a fan translation patch. I really enjoyed this game, and this is the first appearance of such things as the Chocobo and CID. For whatever reason, the translation patch screwed up and wiped all of my game progression or froze or something. Had I had the knowledge I do today I could’ve just used my save file on an updated patch or file, instead of my knowledge as a computer wiz was still growing. Alas, I thought it was lost forever. Come to find out Japanese fans of the game really didn’t like the grind either as they completely went back to what made them great. Crystals again? Check. Job System? Check. This time you could get crystals and change jobs on the fly! Starting off as n onion knights you had basic fighting abilities then you unlock the standard white mage, red mage, ninja and etc as you progress through the game. I never got to finish this game, they did, however, bring it to the united states! This was the first game of the Final Fantasy Series to receive this treatment, a FULL 3D makeover for the Nintendo DS. I had to try it out. My only quarrel with the NDS remake is they made the character really cartoony looking. I know its a video game but they really “cutied” it up. You ever saw those Cute-em Up Shooters? They almost did that to the Final Fantasy ND games. The game ran as a very low frame rate too for a 3D game, I believe 15 FPS? I have no idea why they did this, I would’ve been fine with the awesome wonder swan treatments but this is what we got. In my opinion, there are some battle fixes for the NDS version that I enjoyed but I’d rather stick with the original fan translation and enjoy it how it was meant to be played. You can, however, enjoy it on your phone right now if you want! 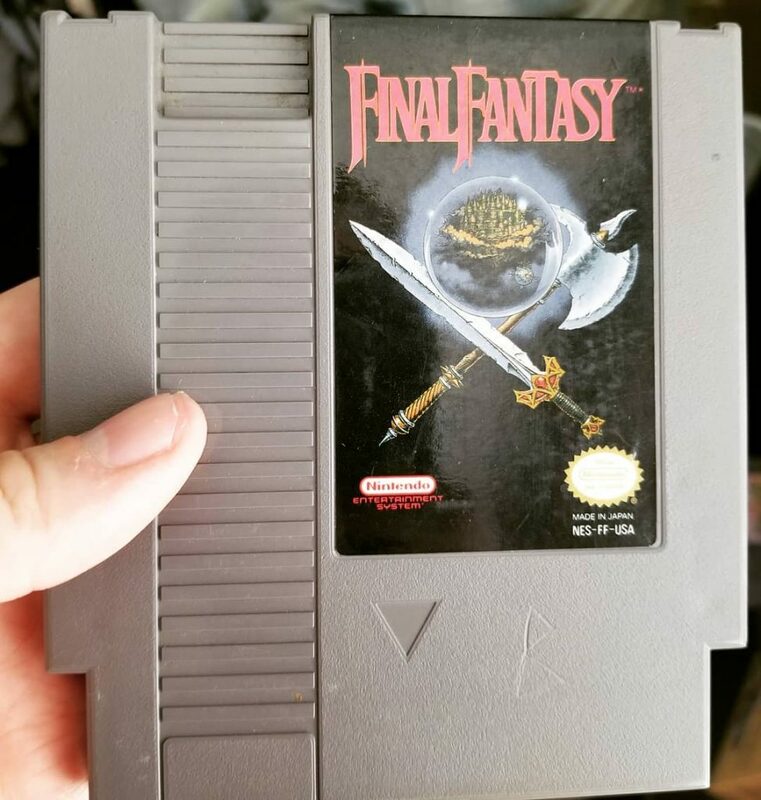 The 2nd Final Fantasy from the Final Fantasy series to make it to the United States. This is the game that originally got me into Final Fantasy. While I might’ve seen the original played by my older cousins but I wasn’t honestly too young to have known really how to play it. This holy grail of an RPG is just fantastic. I never even owned this game, I remember going to video rental/store just about every Friday hoping that no one had rented it so I could rent it for 3 days in a row. Bargain price I know but that is what we did back in the 90s. I hardly remember owning many video games specifically SNES ones. So we would rent and when you rent a JRPG though you have to pray to the big guy above that someone didn’t rent it the whole week and erase your game. Which happened the majority of the time, but sometimes it was a miracle your save was still there. You could continue your quest with Cecil the once Dark Knight turned into a Paladin to rescue the world with a part of 4 other people. 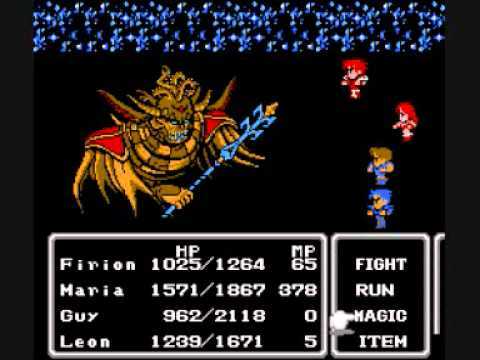 I believe this was the first Final Fantasy that you had more than 4 in a party they upped it to 5! Of course Squaresoft currently now Squarenix wanted to right the wrongs, or perhaps double dipped their amazing titles I have no idea. They have done a number of things for Final Fantasy IV. They have done a Full 3D remake for the Nintendo DS or Phone now, which I hate. It is awful, stay far away from this version in my opinion but if you want to get it on your phone and its the only way you are going to experience it, fair enough. Bloated looking 3D models and even cartoony look, it is just not my cup of tea. Even the sounds are different. They also re-released this on the PlayStation 1 with some added FMVs (Full Motion Videos) which are almost worth it, but what isn’t worth it is the slow down of the whole game. I know it is on a CD but data doesn’t load that slow that can’t open the menu. 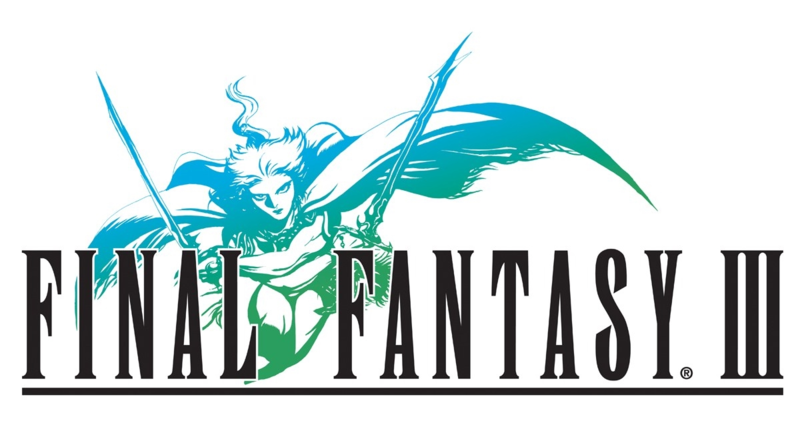 Really in my eyes, the only worthy remake is the Final Fantasy IV Complete Collection for PSP. HD Sprites, new music, new dungeons, new bosses everything was added to this version. Also, throw in the fact that they introduce you to a SEQUEL to a Final Fantasy Game. Oh, yea guess what? That’s a thing too with the Final Fantasy Series, is that they aren’t based off each other. While they take parts from each game they are all different stories and in different realms for the most part. Back to Final Fantasy IV complete collection. Some of the sprites look a little odd but at least they stick to their guns of how the original sprite look. Don’t like the HD music? Well, with a click of a setting you can go back to the original. Genius HUH!? On different days this is my favorite Final Fantasy of the Final Fantasy Series. That is saying something since I’ve never owned the original on SNES. It has left that big of an impact on my life and influenced what I expect on my games. Some say the story was too simple and the game was extremely easy. For a starting out jRPG, it is great in my opinion and left me with the mindsight that it is one of the greatest experiences in a video game I’ve ever had. If you are into ROM translations you can play the original “hard type” if you want more of a challenge, plus all the open world Final Fantasy IV mods that are out now! I hope you have enjoyed this article about the First Four Final Fantasies as much as I have had writing about it. Tune back in back in a few weeks to read more into the series starting backing with Final Fantasy 5. Want to reach out to me on social media about a topic or question you have today? You can find me over on twitter @realkynerd and I’ll back to you as soon as possible!